Human well-being will be severely jeopardized by negative trends in some types of environmental harm, such as a changing climate, deforestation, loss of access to fresh water, species extinctions and human population growth, scientists warn in today's issue of BioScience, an international journal. The viewpoint article—"World Scientists' Warning to Humanity: A Second Notice"—was signed by more than 15,000 scientists in 184 countries. The warning came with steps that can be taken to reverse negative trends, but the authors suggested that it may take a groundswell of public pressure to convince political leaders to take the right corrective actions. Such activities could include establishing more terrestrial and marine reserves, strengthening enforcement of anti-poaching laws and restraints on wildlife trade, expanding family planning and educational programs for women, promoting a dietary shift toward plant-based foods and massively adopting renewable energy and other "green" technologies. Global trends have worsened since 1992, the authors wrote, when more than 1,700 scientists—including a majority of the living Nobel laureates at the time—signed a "World Scientists' Warning to Humanity" published by the Union of Concerned Scientists. In the last 25 years, trends in nine environmental issues suggest that humanity is continuing to risk its future. However, the article also reports that progress has been made in addressing some trends during this time. The article was written by an international team led by William Ripple, distinguished professor in the College of Forestry at Oregon State University. The authors used data maintained by government agencies, nonprofit organizations and individual researchers to warn of "substantial and irreversible harm" to the Earth. "Some people might be tempted to dismiss this evidence and think we are just being alarmist," said Ripple. "Scientists are in the business of analyzing data and looking at the long-term consequences. Those who signed this second warning aren't just raising a false alarm. They are acknowledging the obvious signs that we are heading down an unsustainable path. We are hoping that our paper will ignite a wide-spread public debate about the global environment and climate." 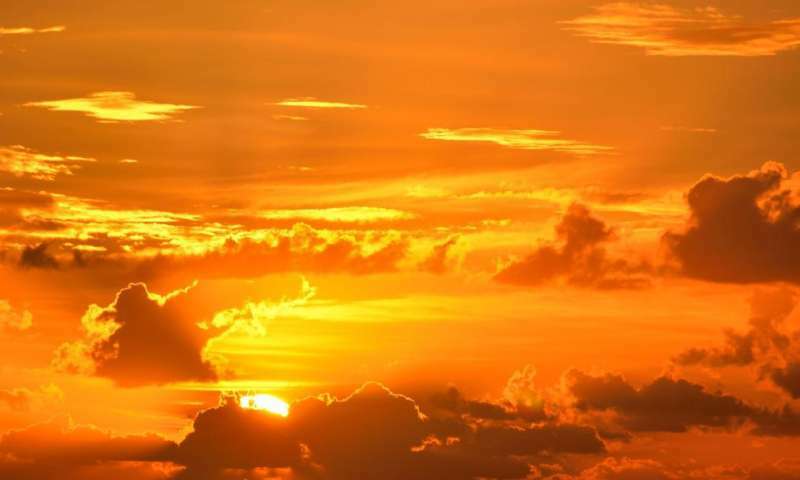 Progress in some areas—such as a reduction in ozone-depleting chemicals and an increase in energy generated from renewable sources—shows that positive changes can be made, the authors wrote. There has been a rapid decline in fertility rates in some regions, which can be attributed to investments in education for women, they added. The rate of deforestation in some regions has also slowed. In 1776, when Adam Smith wrote "An Inquiry into the Nature and Causes of the Wealth of Nations", the definition of wealth was human well-being. We are sacrificing the common weal. I'd go back a century earlier to Hobbes' Leviathan, published in 1651. Hobbes argued that without some sort of social contract, life would be "solitary, poor, nasty, brutish, and short." 2. The misbehavior of the powerful. Malthus published in 1798 and the argument over his theory of society has been found to have a flaw: it seems that under conditions of plenty, humans don't overbreed. It's only in straitened conditions that they do. This seems to have happened in all the Western democracies judging by the population statistics. We've been arguing about these matters ever since. And we've come to the point where not only are there enough of us to pose a serious threat to the environment we require to live, but the point where the powerful don't seem motivated to do anything about it, and in fact oppose doing anything about it in order to retain their power. Now propaganda is being used to get the common person to vote against their own interests. This is about as pernicious as any evil perpetrated in all of human history. When there is a mass movement to oppose it I will start to think we might survive for another few thousand years. I am not holding my breath; the average IQ is, by definition, 100. "the powerful . . . oppose doing anything about it in order to retain their power"
Exactly. Many of the present systems of government are poorly designed, fundamentally flawed or hopelessly defective. The reason is very simple. These systems were designed to further enrich the already rich and powerful, not maximize their effectiveness for society as whole. For example, consider how taxes favor obtaining money through inheritance or investment, not hard work. The solution is use our best minds, with the best possible information and analysis, to design optimized systems of government that actually work for each nation and world as a whole. Forget the liberal/conservative smokescreen and design the best systems we can for taxes, healthcare, guns, etc. Politicians would undoubtedly view this idea as incredibly naive and comical, but this is exactly what James Madison and the Founding Fathers of the U.S. did to push the world towards democracy. @Da Schneib; You stated it perfectly. Those are some serious problems. Certainly bigger issues than arguing about the polar bears being fine. The fact of the matter is that any political system can be corrupted; no political system ever conceived and more important no political system ever enacted is incorruptible. Most political systems would work fine if powerful people didn't become corrupt. The closest thing we've ever found is the various types of democracy. The most pernicious thing we've found is propaganda. Frankly I don't hold a lot of hope. When the powerful become corrupt and use propaganda to get a working majority of people to support them, it's extremely difficult to see how to remove them from power, never mind how to remove power from them. "any political system can be corrupted"
No doubt. As best as I can tell, James Madison and the Founding Fathers did their level best to design the most corruption resistant system they could under the circumstances. Democracy with "checks and balances" was genius, but no system can be perfect when all of its components are imperfect and now that the controlling party (Republicans) is fundamentally corrupt.